One of the gulfs between most of the modern historians I read and many of the older ones is that the earlier historians were able and willing to look at slavery as an economic institution, and at the enforcement of fugitive slave laws as a legal process between the sections. 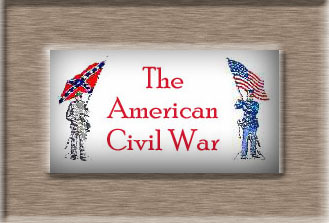 It is necessary to do this to understand the coming of the Civil War. But it's also not easy or entirely pleasant to do so. We who do it stand in an exposed position, not in terms of historical realities -- because in doing so we're more true to those realities than our opponents -- but in terms of modern moralities. To grapple with slavery as a dynamic force between North and South in America, you have to think of it in terms of its meaning to two groups of white people. To do that does not ignore the humanity of the slaves, or the fact that slavery was the central aspect of a slave's life. But it does set it aside for the duration of the argument. That "setting aside," after the 20th century, is something we feel as horrible. It is a mental process akin to the one that allows genocides. I suspect it is a natural muscle in the human mind, but it is one we're desperately trying not to exercise. A similar grappling goes on in literature, dealt with more openly but no less emotionally. Readers, writers, and critics anguish over writing they know is good, and that actually opens minds in the dominant race toward the downtrodden one, yet it relies on stereotypes to do so, and it takes that other race, ultimately, as a backdrop or a symbol. In America, we have the "problem" of "Huck Finn." The British and the Europeans have the same ambivalence toward Joseph Conrad, especially "Heart of Darkness." Chinua Achebe, father of modern African literature, has long argued that Conrad was nothing more than "a thoroughgoing racist." Caryl Phillips, an author and writer who admires both Conrad and his great African detractor, sat down with Achebe one day and tried to hash out his outrage for a book she respects. The results were published [Feb. 24, 2003] in a long and fascinating article in the British newspaper The Guardian. One of the things Phillips, and most modern Westerners, like about "Heart of Darkness" is its grim questions about the colonizing mission that so many Europeans of Conrad's day took for granted as the proper ordering of God's creation. "Africa as setting and backdrop, which eliminates the African as human factor. Africa as a metaphysical battlefield devoid of all recognisable humanity, into which the wandering European enters at his peril. Can nobody see the preposterous and perverse arrogance in thus reducing Africa to the role of props for the break-up of one petty European mind?" "I am an African. What interests me is what I learn in Conrad about myself. To use me as a symbol may be bright or clever, but if it reduces my humanity by the smallest fraction I don't like it." "Conrad does present Africans as having 'rudimentary' souls." "Yes, you will notice that the European traders have 'tainted' souls, Marlow has a 'pure' soul, but I am to accept that mine is 'rudimentary'?" He shakes his head. "Towards the end of the 19th century, there was a very short-lived period of ambivalence about the certainty of this colonising mission, and Heart of Darkness falls into this period. But you cannot compromise my humanity in order that you explore your own ambiguity. I cannot accept that. My humanity is not to be debated, nor is it to be used simply to illustrate European problems." The realisation hits me with force. I am not an African. Were I an African I suspect I would feel the same way as my host. But I was raised in Europe, and although I have learned to reject the stereotypically reductive images of Africa and Africans, I am undeniably interested in the break-up of a European mind and the health of European civilisation. I feel momentarily ashamed that I might have become caught up with this theme and subsequently overlooked how offensive this novel might be to a man such as Chinua Achebe and to millions of other Africans. Achebe is right; to the African reader the price of Conrad's eloquent denunciation of colonisation is the recycling of racist notions of the "dark" continent and her people. Those of us who are not from Africa may be prepared to pay this price, but this price is far too high for Achebe. However lofty Conrad's mission, he has, in keeping with times past and present, compromised African humanity in order to examine the European psyche. Achebe's response is understandably personal. And those of us who muck around in history have it harder than Caryl Phillips. A literature student can walk away from a novel, even a beloved one, and take up another. But we have only the one past. And if you find it too soul-destroying to enter into a state of mind that can feel white supremacy as God's law, or if you aren't willing sometimes to think of slaves as a sort of property-with-free-will, I can certainly understand that. But you'll never understand the whys and hows of the Civil War without it. Which leads inevitably to the question, does the strong leftist, social progressive, personal ideology of a Eugene Genovese or an Eric Foner (before you accuse me of stereotyping, read their own autobiographical stories) color their historical writing? I would be amazed if it didn't. History isn't written by emotionless pod people. What they choose to investigate, what they choose to see, is very deliberate. In most cases, they will cheerfully acknowledge this. Read their addresses to one another in the professional organizations. They write the past, but they live the present, and their academic work is done with a view to a future they would like to shape. Listen to Genovese, answering the interviewer's question, "You grew up in a working-class family. Did this experience influence your scholarship? If so, how?" "I entered the communist movement in 1945 at age fifteen and spent summers working in shops as an organizer for Communist-led unions. It was a valuable experience, which reinforced my hard class attitudes but also my resistance to romanticism. ... In any case, I grew up in a class-conscious home -- class-conscious but by no means ideologically driven. I hated the bourgeoisie with the terrible passion that perhaps only a child can muster. When I came across some Communists at age fifteen and read the Communist Manifesto and some other pamphlets, I suddenly had a precise focus for my hatred. I would happily have sent the bastards to firing squads in large numbers, and their wives and children along with them. "... My biggest problem as a historian has always been, I suppose, the conscious effort to rein in that hatred and not let it distort my reading of the historical record. I am sure that it has taken a toll, but I hope I have kept that toll to a minimum." As he hints, his practical side later rebelled against doctrinaire Marxism (it ultimately led him to Catholicism), and cost him banishment from leftist academic historical circles. He emerged, recently, as one who has been able to write with some sympathy and understanding of the Southern "master class" and to separate slavery from racism and say the latter, not the former, is the real American tragedy. Yet I still think there is a lot more doctrinaire tone here than most people will be comfortable with who are interested in knowing history as what really happened. Describing one written work of his, Genovese states his goal like this: "I was trying to help develop a left-wing orientation toward the re-emerging problem of black nationalism so that the white Left could prepare itself to contribute constructively to emerging struggles." 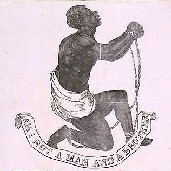 And looking back on the entire body of work he and his contemporaries accomplished, he concludes, "Whatever our errors and inadequacies, I think we can claim to have accomplished what we set out to do: to reorient the study of southern slave society and to compel a confrontation with a new set of questions." 1. "Eugene D. Genovese and History: An Interview," in Slavery, Secession, and Southern History, ed. Robert Louis Paquette and Louis A Ferleger, University Press of Virginia, 2000, p.197.